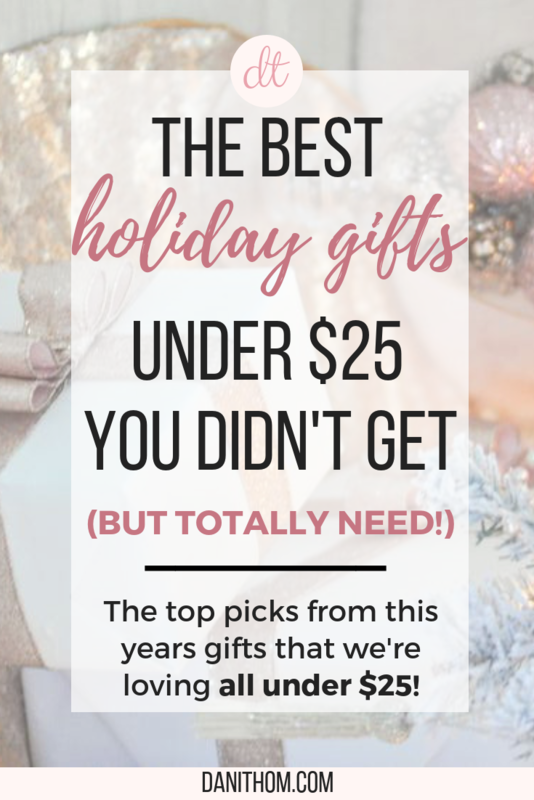 Since I got some pretty awesome gifts for Christmas, I wanted to share a few of them with you because they’re awesome finds and most are under $25!! Obviously because of this wonderful blog, I request a lot of clothes. I wasn’t disappointed! But I also got some other fun things, too, because my family is always creative. My family and I exchange Amazon wish lists which makes it easy for all of us to make sure we’re getting one another things we actually want/need. I have an ongoing list that I add to throughout the year when I find something I like (which when I browse on Amazon is fairly often…). 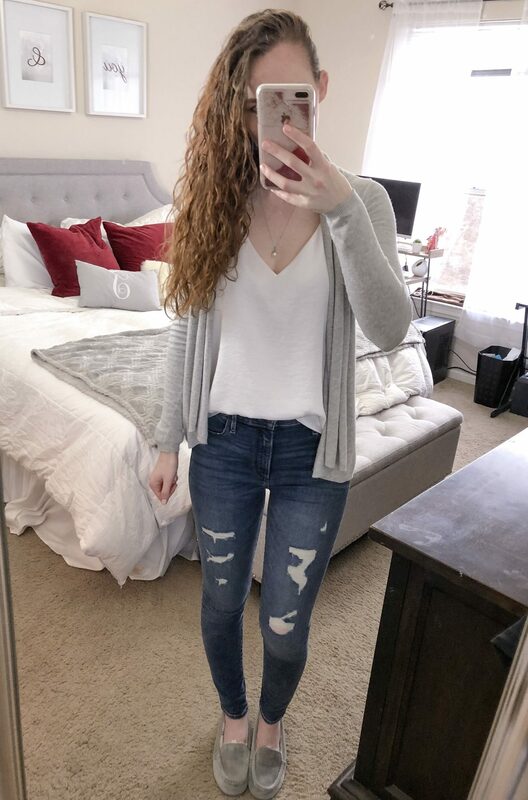 I’ve been wanting these jeans for months. I’ve been wanting some with more distressing and these were on sale for 40% off making them $44. My husband knew I had been wanting them for a while and gifted them to me :). They fit like a glove (wearing size 26 R; I’m 5’8″, 120 lbs) and they’re super stretchy. 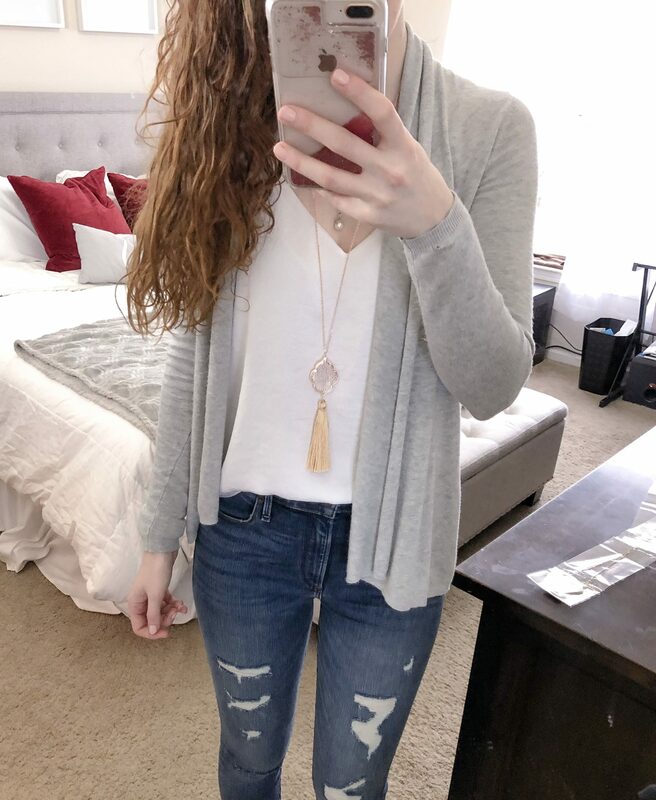 I used to hate high-waisted but I actually think they’re way more comfortable. I’m loving them. I got this big warm scarf from Jake, too, and it’s soo soft. 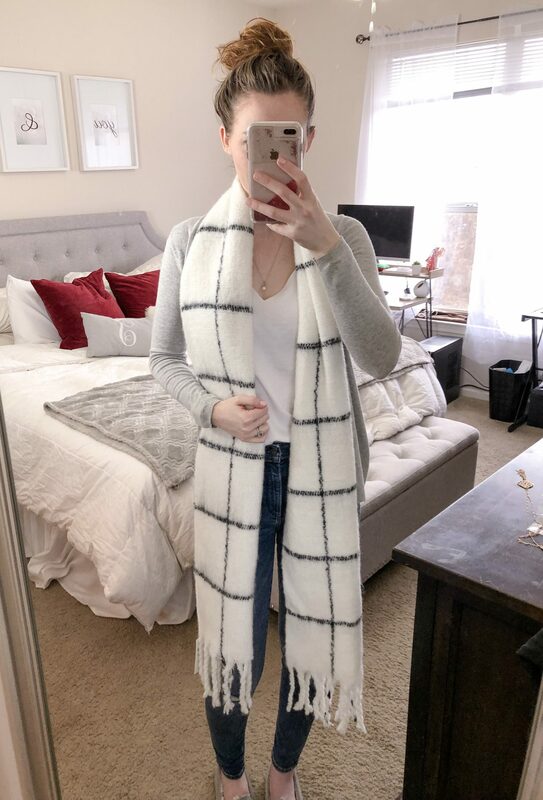 I love the simple plaid design and since it’s neutral (like basically everything I own), it goes with everything! It comes in a few other colors, too. 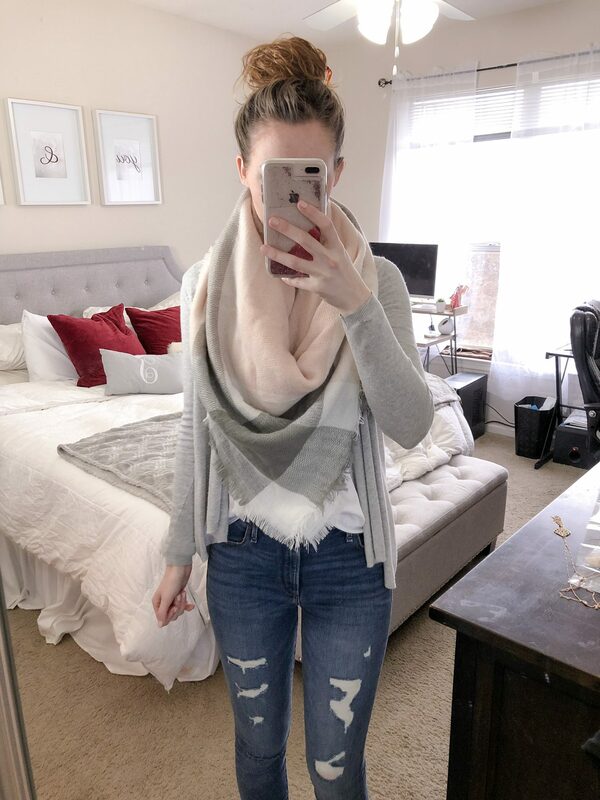 I got this pink and grey blanket scarf, which is also thick and warm. 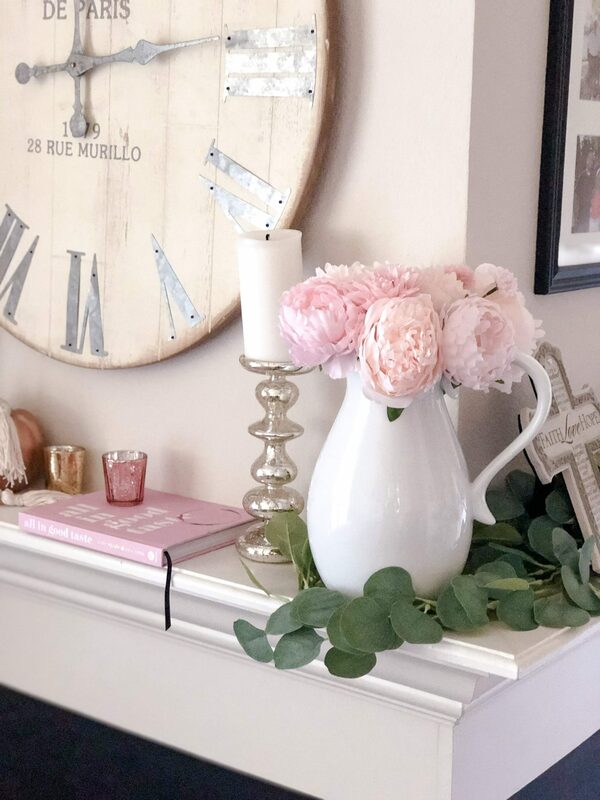 It gives a subtle pop of color. And the same scarf with burgundy. Basically the only two color variations I do hahaha. I’m a big fan of the burgundy trend going on right now. My dad got me this necklace set and I LOVE it. 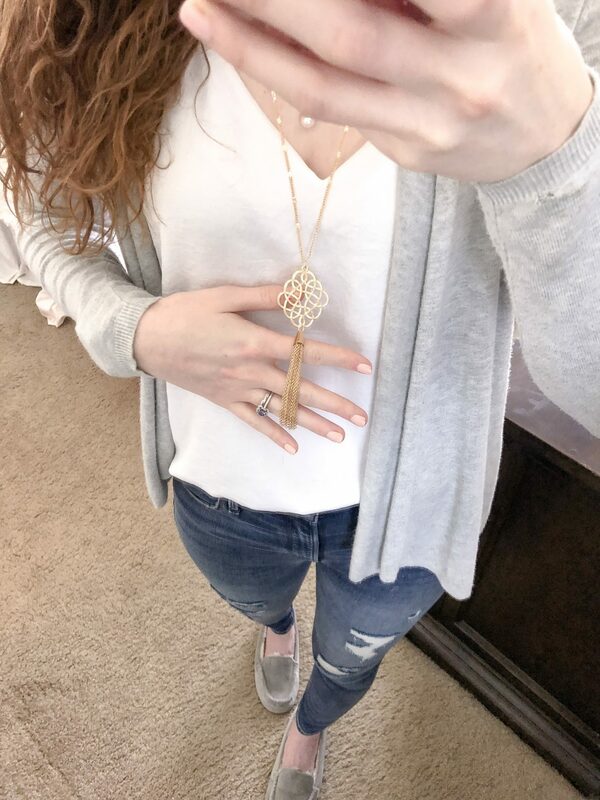 Both necklaces came together and only cost $12!! I’ve worn the gold knotted one to work a few times and people have been mistaking it for a Kendra Scott necklace! I happily tell them it’s from Amazon and is basically $6 haha. My mom and sister also shopped on our wedding registry for the things we didn’t get and found this lovely Keurig and this beautiful pitcher that I wanted to use as a vase. I love them both! I got this reusable k-cup to be more eco-friendly and save some money as k-cups are pretty pricey. I just love the simplicity of the Keurig! If you saw my stories when I got this blanket, you’ll know I’m OBSESSED. I opened it as soon as I got it because I wanted it so badly. I have been wanting one for so long, so to find this one on sale AND it be the last one, I was elated. My dad got me this faux burberry scarf and y’all, I LOVE IT. I’ve gotten SOOO many complements on it. It’s not too thick so it’s great for transitional times of the year and it looks soo nice. It’s great quality and it’s ONLY $15!!! It’s such a steal. In my family, it’s a tradition to give each other personalized ornaments every year. 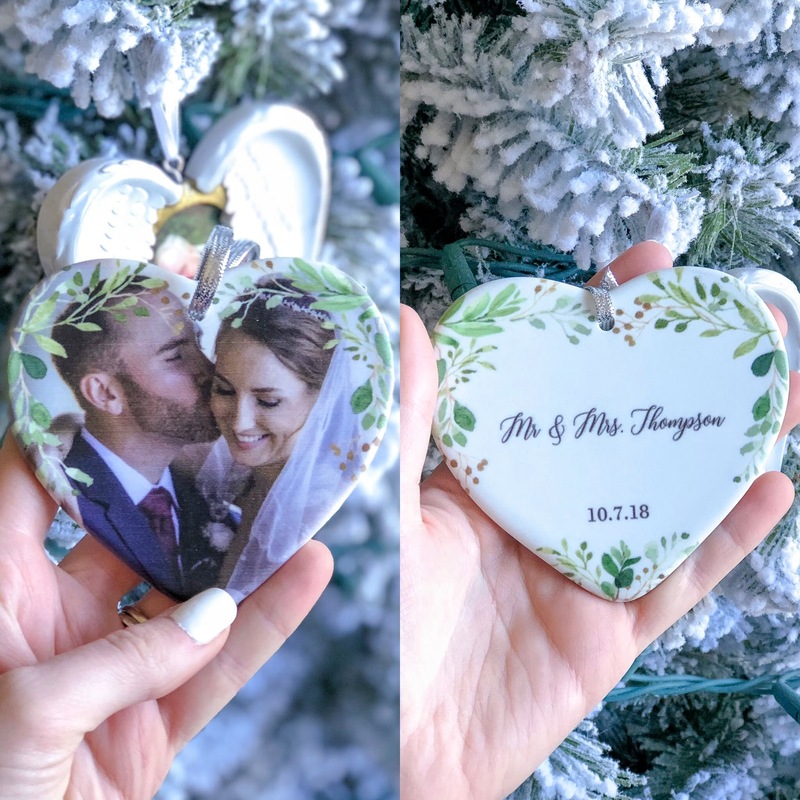 My mom and sister gave me this beautiful customized ornament with one of our wedding photos on one side and our names and wedding date on the back. It’s so beautiful and I love it. 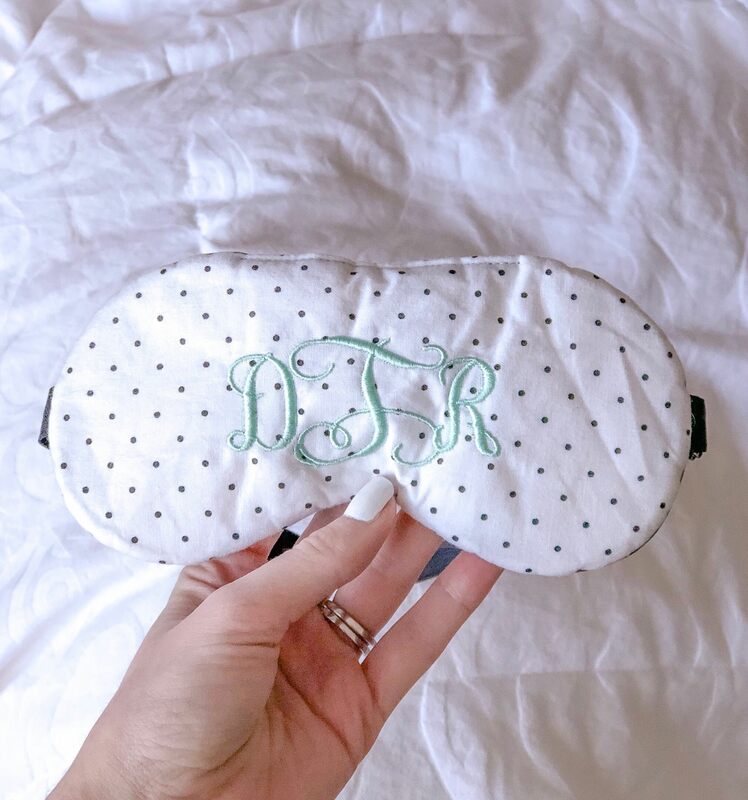 And my favorite gift of all: this embroidered sleep mask!!!!! I wear a sleep mask every night because I’m a very light sleeper and it helps to have the dark. My sister got me this awesome mask with my new initials embroidered on it. The back is 100% silk and it’s so soft. I love that it’s black because it doesn’t show any left over make up and it blocks more light. I have 4 sleep masks but this is by far my favorite. What were your favorite gifts from the holidays this year?? Let me know below!